Topic Prominence in Science: Where am I a Key Contributor? And other exciting updates to SciVal. We are now also supporting Groups of Institutions for Topic Prominence, have added further enhancements and functionalities to the Reporting section, and there’s a new Support Centre available for SciVal where you can stay up-to-date on all things SciVal related, and find answers to commonly asked questions. 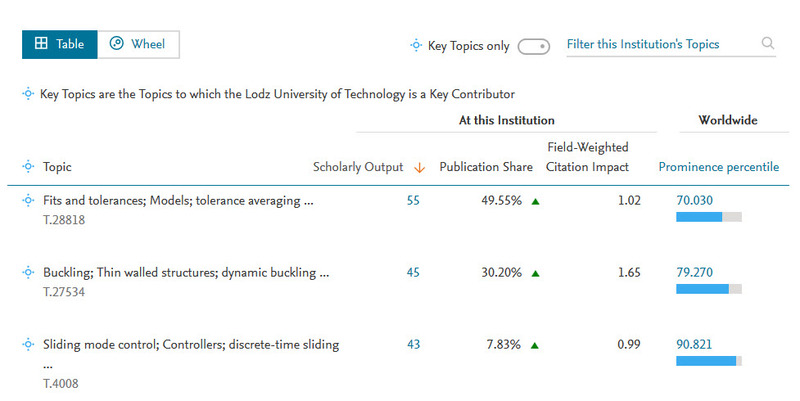 As part of SciVal’s Qushji release, you can now filter to see only the Topics where your institution is a key contributor. The ‘Key Topics’ toggle is available within the Table and Wheel views, and gives you a much better overview of Topics in which your institution is making a significant contribution. Learn more via our interactive webinar! Webinar: Where am I a Key Contributor? And other Topic Prominence enhancements. Topic Prominence: Support Groups of Institutions. 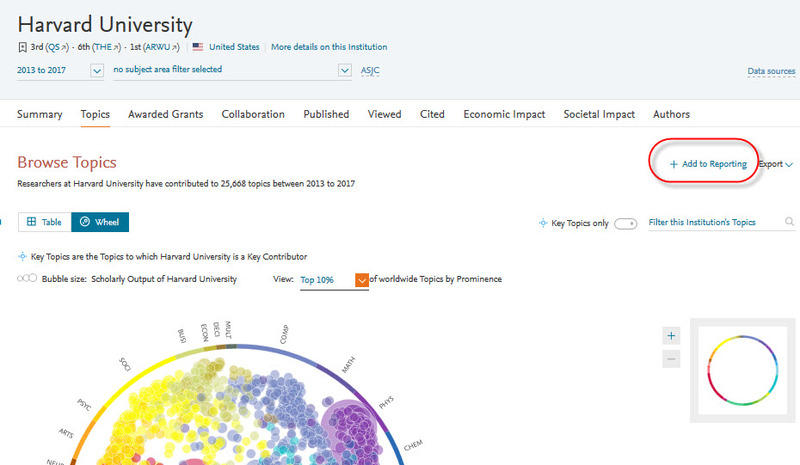 See the Topics to which groups of institutions (either user defined or pre-defined) contribute. New SciVal Support Centre now available. We have fully migrated to the Elsevier Support Center. This brings a refreshed support section with more detailed links within SciVal to the relevant help sections. You can now add the "Overall research performance" section and the entire Summary page from the Overview module, along with the Wheel of Science and table from Topics, to Reporting. Now there’s also the option to export a number of Reports or Analyses as one zip file, e.g. export a folder of Reports and Analyses as an XLS or CSV file. Read all about our latest Reporting enhancements.